There is certainly nothing wrong with people trying to do the right thing and to be moral and upstanding citizens. The problem is that salvation and transfiguration are not a matter of morality. The publican and the prodigal were not moral people. They did all the wrong things, but yet they came to themselves, they discovered their hearts, and in so doing found the way, not just to moral goodness, but to holiness, to righteousness, and to feasting in the Father’s household. In the West, many speak about Lent as a period of struggle whose goal is for Christians to become better people. For the ancient fathers, however, it is not just about “the good being preserved in their goodness and the crafty becoming good” (anaphora of Saint Basil the Great), although these are things to be prayed for. Rather, it is about discovering the heart, being honest about oneself, being humble before God, and in repentance beginning an incredible journey in which the soul seeks to be clothed in Christ, so that thoughts, desires, the will, all become holy, all become bent on salvation, all become an expression of His forgiveness and His love. No frail human morality can ever hope to contain the overflowing fullness of life with which Christ desires to rejuvenate the faithful. Fyodor Dostoevsky takes up this theme in many of his novels and concludes that the humanism derived from a moral code on its own cannot serve as man’s ultimate salvation. The world will not be saved by optimistic humanism that believes human progress and morality will eventually save the world. For Dostoevsky and the church fathers, man’ deepest problems are not moral, nor even psychological, but ultimately existential and ontological. It’s not about following the rules or feeling balanced. It is a matter of choice and it is a matter of human nature being touched by the hand of God Himself. Only by daring to leap towards God in spite of the good and evil that exist in the heart can the believer hope to get beyond the contradiction of the human condition. In order to avoid descending into nihilism, Dostoevsky offers his readers another path: the acceptance of suffering and affliction in the context of a relationship with God. It is only in this context that man is able to recognize a path out of his fallen condition. It is only this Love that is able to transform suffering into salvific joy. 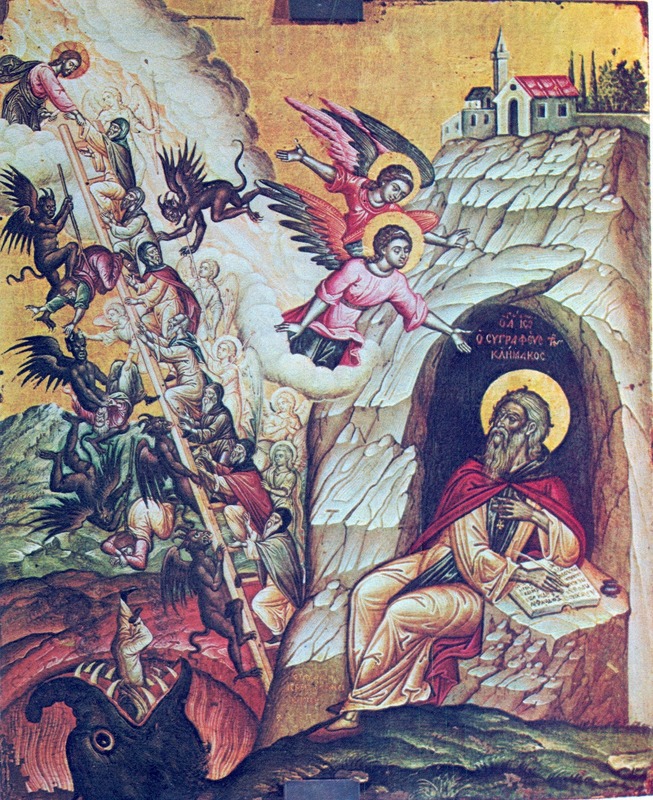 This is the goal of Great Lent, a journey through the acceptance of ascetical toil and struggle culminating in the joyous feast of Pascha where we celebrate the Risen Lord as One Who trampled down death by death, and upon those in the tombs, bestoweth Life. The journey of Great Lent is not about “doing this” or “avoiding that,” but about cleansing our hearts in repentance by reaching out to touch the Lord Jesus. Then, we will do what is truly good, forgiving and loving, then we will avoid what is truly bad, pride, judging, and hatred, not because of a moral precept, but because we will feel Christ’s mercy in our heart, so that with Saint Paul, each one of us might say, “yet not I, but Christ that liveth in me.” Amen.